Calling All Wildlife. Please Come In. Ten-Four. My wife and I have been planning on taking a trip to Africa, Kenya and Tanzania in particular, to witness first-hand the Great Migration and to see the Big Five close up, that is, relatively close up. My concern is to get there before they’re all gone. If you wanted, you could read every day about the overwhelming reduction in elephants, rhinos, zebras, mountain gorillas and other beautiful creatures due mainly to poaching for ivory, horns, pelts and . The black rhino alone is down 96.7% since 1960; 35,000 elephants were killed last year. Poachers ride into reserves on horses or attack in helicopters carrying AK-whatevers and night-vision goggles and slaughter complete herds. Despite bans on the sale of both ivory and horns in many countries, we are still losing ground. The economic rise of one huge nation in particular, one that seems to be oblivious to animal endangerment, is resulting in the deaths of thousands of animals. Efforts to implant cameras in horns and sensors on tusks in order for governments to more quickly react to poachers are just experiments. Bloodhounds might be able to track poachers after the fact, but too late to save the animals. So what does the world do while the irreplaceable animals of Africa are being wiped out? Apparently the same thing we do about the impact of climate change–little. It appears that other countries feel it isn’t their duty to help contribute to the effort to fight poachers alongside the African nations. Why would they? Most countries do little to prohibit the genocide of millions of people who are being slaughtered on the lands of their neighboring nations. So why would they give a hoot about dying animals in distant lands? And don’t get me started on reefs and creatures of the sea. This entry was posted in Uncategorized on August 31, 2017 by siggersbee. Where has all the coral gone? Short time passing. When I was in the Navy (please don’t ask when that was), I was stationed at the Naval Air Base in Agana, Guam. Part of our mission was to support the natives on the various islands in the Marianas Islands and other islands in the area–Saipan, Tinian, Palau, Ponape, and many others. Some of these names will sound familiar to those of you who are into the history of World War II in the Pacific. I was part of a seaplane crew that flew down to these islands. We flew HU-16 Albatross seaplanes. 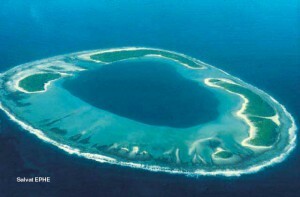 [See one here – ] Many of these islands were coral atolls, meaning that they were roughly a ring of coral with a lagoon inside and some raised land areas on which the people lived. For those islands too small to have a landing strip, we would put down inside the lagoons. The only problem with that is that coral can grow at 2-4 inches per year and our maps were often old, old, old. Although we could see coral spikes in the lagoon from the air, when we landed in the lagoon it was difficult to know we weren’t running into one as we water-taxied into the beach. So a couple of us crew members would put on our bathing suits, don snorkels and diving masks. and swim out to the pontoons. Hanging onto these with our faces in the water, we would guide the pilots through safe waters using clever left- and right-hand motions. When safely close enough, we would either beach the aircraft or anchor out and let the natives paddle out to fetch us. While the “important” people with us conversed with the natives–sometimes a doctor tending to a patient, sometimes an admiral there to watch a school graduation– we crew members would often snorkel around the lagoon, collecting unusual shells, sharing space with spectacular schools of fish, or shallowly diving down among the colorful corals. Often called the “rainforests of the sea,” these reefs and those around the world are dying at a rate similar to that of the true rainforests. Coral reefs provide about 30 billion dollars worth of goods and services related to tourism, fishing, building materials, and coastal protection and that figure is diminishing rapidly. The cause of the problem? The primary one is carbon dioxide emissions, resulting both environmental warming and acidification. Read this for more. When will we take our heads out of the sand–or coral–and admit to global warming? Will it be too late for the coral and for the marine life it supports? This entry was posted in Uncategorized on August 16, 2017 by siggersbee.